PoolSynergy Host Mike Fieldhammer has asked our opinion on what makes for a good tournament experience. I have a unique perspective on this subject as I know what it’s like to run a tournament as well as play in a tournament. Ultimate 10-ball Championships, Frisco TX, Promoter Badi Nazhat: This was the most professional tournament I have ever seen &/or played in. It was very well organized and oozed class. I didn’t just feel like an entrant in this event, I actually felt like a professional athlete. Each of the 24 tables had it’s own referee that also racked for the players, there were two-live streams with multi-camera feeds, match times listed, a quality hotel and professional attire & sportsmanship were required. Yes, there were a few glitches, unseeded draw, poor ref training, but overall as a player I enjoyed my experience in this event and appreciated the promoter’s dedication to running a high-class event for the players while demanding they behave like high-class individuals. BCA Nationals, Las Vegas NV, Promoter Mark Griffin/CSI: This event sets the standard for all national/large entry events. The event is constantly improving it’s efficiency, conveniences, timelines & experience. With over 7,000 players playing in multiple events over 10 days, a standing ovation should be given to Mark Griffin and his staff for their commitment to improvement. 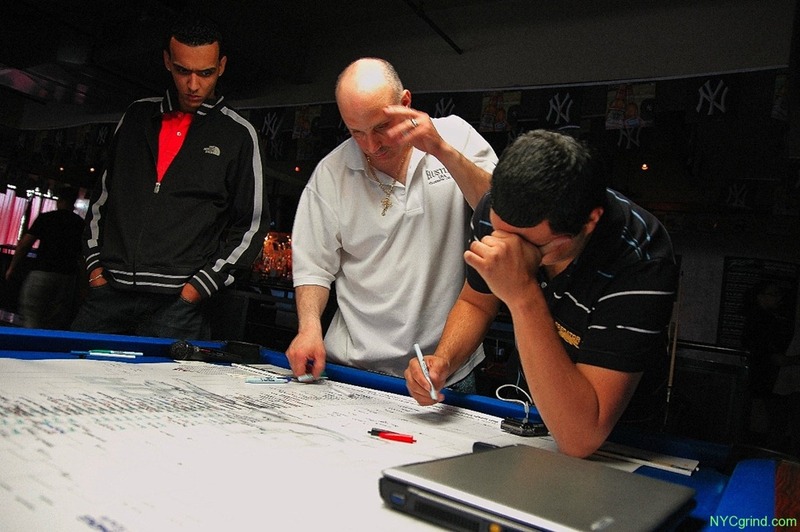 Last year, the players enjoyed an online bracket system provided by Cue Sports International. This year, another forward thinking bonus, the text message alert system. When do I play and where? Did my table change? CSI sends a text with all that information. 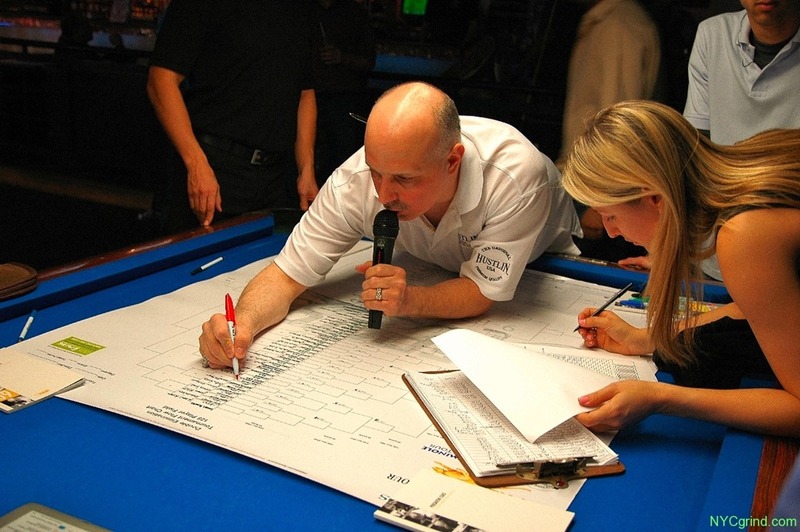 It’s never easy running an event that involves handicapping players thus the BCA also find some who disagree with certain players being classified as Open/Advanced/Master & Grand Master, but overall, I am impressed and appreciate the events dedication to improvement and being a forward thinker in the billiard world. So from a player’s perspective, I appreciate a tournament that is organized, constantly innovating itself & delivers and demands respect for the sport and players. I know first hand these goals are NOT easy to execute so I applaud the above tournaments for succeeding on these fronts. Predator Pro/Am Tour: Promoter, Tony Robles, Director, William Finnegan: This is the tour I help run and also play in. I am NOT saying we are in the same class as the above mentioned tournaments by listing us here. But as for local tours, I feel we are in the upper echelon of tours provided. Tony & Finnegan do their very best to improve the tour each year. We cannot make every player happy but we are proud to see our turnouts continue to be high and player feedback remains overall very positive. I get so much joy looking out across the tournament room and seeing the product of a lot of hard work that few players see or know about. I’m sure to many players it seems that running a tournament is no big deal, maybe even fun, but you have NO IDEA the amount of time Tony & Finnegan spend negotiating with rooms, scheduling events, coordinating with other tours so to not conflict, negotiating with sponsors, accommodating player needs, addressing handicap issues, etc. And to top it off, weekend tournaments means sacrificing family time & time off from the 9-5. It’s a stressful undertaking that often goes unappreciated. And like the above tournaments, we definitely make our mistakes. We start late sometimes, we’ve messed up on handicaps, etc. so we’ll always have room for improvement. I bring this up because as we PoolSynergy columnists discuss the makings of a good tournament experience, I ask us all to be thankful to those that provide that experience. A big thank you to ALL tournament operators out there for continuing to give us competition in pool and doing the very best they can. ~ by g2 on June 15, 2011. Gail, excellent article! When everything goes well in a tournament, most people don’t notice the tournament directors, but if anything goes wrong, they are the first to get blamed. Tournament directors are the unsung heros of the industry. Their passon and dedication to the game is what keeps all of the machinery running. Thanks for giving them the attention they deserve. Gail, great post and great perspective on running the tournaments. It goes without saying, eventhough I have always thought this to be the case. The Predator/Ozone Billiards Tour is a class act. And, the players know this always. I have not played in the events often, but have showed up to give my support always. YOU GUYS/GALS ROCK!!!!!! Tony, Gail, Finn…..and others know and appreciate you guys always. See you soon.